Nashville, Tenn. (March 1, 2016) – Country Music Hall of Famer and CMA/ACM award winner Don Williams, who became one of the biggest country stars known as the “Gentle Giant” with his relaxed songs and 6-foot-1-inch frame, is retiring after six decades of making music and entertaining crowds. “It’s time to hang my hat up and enjoy some quiet time at home. I’m so thankful for my fans, my friends and my family for their everlasting love and support,” Williams said. 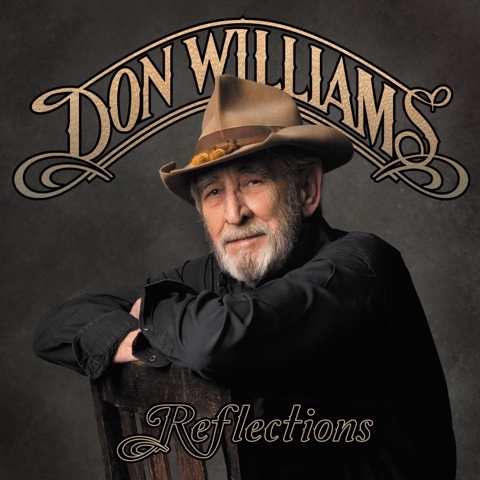 They came to call Williams the “Gentle Giant” in the decades he was a dominating country hitmaker because of his unique blend of commanding presence and that laid-back, easy style that has appealed to adult men and women alike—cutting across national and genre boundaries. The hundreds of memorable songs in his repertoire—over fifty of them major hits—whether contemplative ballads, affecting love songs or change-up rhythm numbers, have always been a core Williams strength. Williams captivated crowds in his live shows with the mellow tone of his smooth baritone in “Tulsa Time,” "Back in my Younger Days," "Louisiana Saturday Night" and identifiable sincerity in the timelessness of tunes like "You're My Best Friend," “Come Early Morning,” "Lord, I Hope This Day is Good," "Some Broken Hearts Never Mend" and many more everlasting hits. Williams was the CMA Male Vocalist of the Year in 1978 and “Tulsa Time” was the ACM Record of the Year for 1979. In 2010, Don received country music’s highest honor, with his induction into the Country Music Hall of Fame.